You'll find McDonald's ideally located on Sparkford Bypass, 6.62 miles north-east of the centre of Yeovil (nearby Hazlegrove Preparatory School and Countess Gytha Primary School). The restaurant provides service mainly to the districts of West Camel, Steart Hill Farm, Sparkford, Queen Camel, South Barrow, Wales, Weston Bampfylde and Vale Farm. For your convenience, its working times continue today (Thursday) for 24 hours. This page will give you all the information you need on McDonald's Sparkford, Yeovil, including the hours of operation, place of business address, customer rating and other relevant info. McDonald's occupies an ideal spot close to the crossroads of A359 and Sparkford Hill Lane, in Yeovil, Somerset. The restaurant is just a 1 minute drive time from High Street; a 3 minute drive from The Avenue, Camel Street or Twines Close; and a 9 minute drive from Englands Lane and Englands Mead. If you're using GPS devices the postcode is BA22 7JE. If traveling by foot you will discover Countess Gytha Primary School, Holy Cross and Hazlegrove Preparatory School. The total number of McDonald's locations presently open in Yeovil, Somerset is 2. Click on this link for McDonald's restaurants near Yeovil. Please note, common business hours for McDonald's in Sparkford, Yeovil may vary over the UK holiday period. In the year of 2019 these alterations apply to Christmas Day, New Year's, Easter or Bank Holidays. 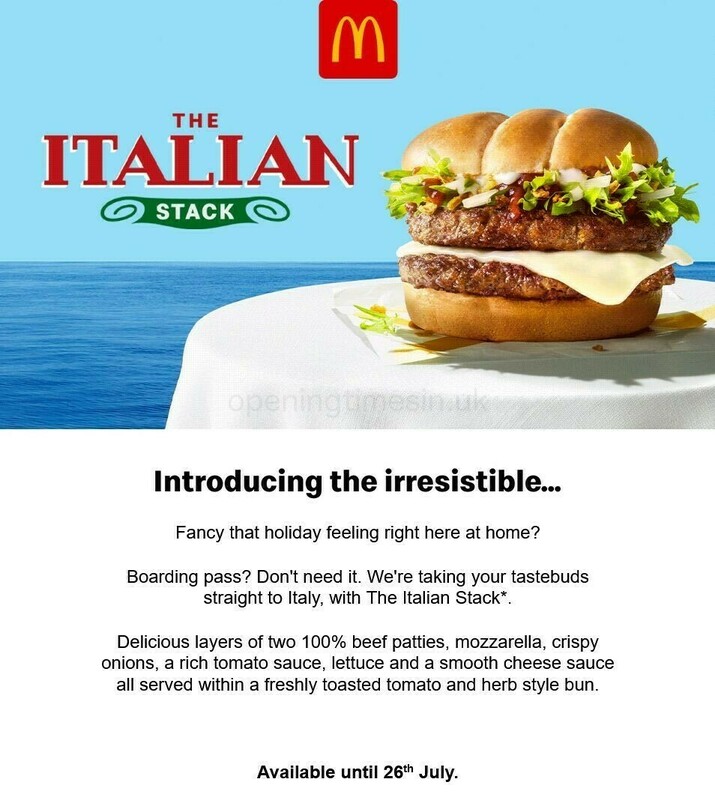 The quickest way to get further information about holiday working times for McDonald's Sparkford, Yeovil is to visit the official website, or call the direct service line at 370 524 4622. Our company is always striving to supply you with the most current information. Please feel free to use the report a problem form to report any errors with the location particulars or business times for McDonald's in Sparkford, Yeovil. In the form below, please voice your thoughts about McDonald's, and rate its restaurant using the star ranking scale. Your feedback would help other customers.